Gelatin-silver photograph on Ultrafine Silver Eagle VC FB photographic paper, image size 24.5cm X 19.6cm, from a 8X10 Efke IR820 negative exposed in a Tachihara 810HD field view camera fitted with a Nikkor-W 210mm f5.6 lens and a IR680 filter. 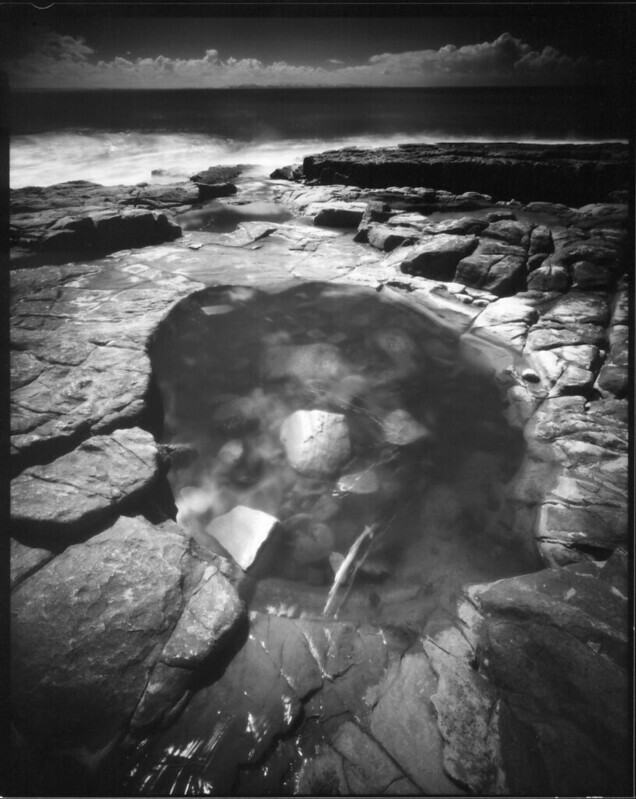 Re: Rock Pool and Surf, Infrared. A lovely find irrespective of materials and techniques, Maris. But the adept use of IR has certainly taken the beauty of the natural scene and taken it to another dimension of spectacle. Thanks Walter. Infrared is very difficult to do as a fully realised technical exercise but it's very easy to do as art! 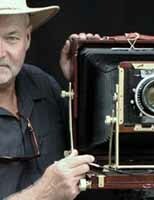 Because the exact result cannot be foreseen the photographer can't be wrong; merely fortunate or unfortunate. The pretty pictures get signed and credit claimed. The other stuff, visual pizza or worse, is never shown. The expression in the movies, maris, is "Light it low, they'll never know."